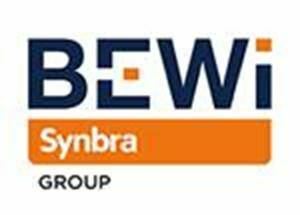 Stay updated on the latest developments at BEWiSynbra Group. Subscribe to our press releases. The event, which is being held to highlight two projects — Cancer Moonshot and Joe and His Friends — will take place from the 21st to the 24th of September with employees from BEWiSynbra Group and representatives from Cancer Moonshot. Everyone is welcome to support this event. Those who are unable to join the ride themselves can either follow Team BEWiSynbra on social media — there will be regular updates with commentary from participants — or visit them along the way. “We’ll be glad to ride together with anyone who wants to accompany us during our activities and contribute to a better world,” says Martin Bekken of BEWiSynbra Group. Professional triathlete Sebastian Norberg, age 29, grew up in Sweden. Since 2013, Sebastian has been traveling the world, competing in everything from the terrain triathlon championships in Hawaii to multisport world championship events in China. Sebastian’s long-term goal is to qualify for the IRONMAN World Championships in Hawaii in the professional class. This requires at least one podium finish or better in an international IRONMAN, which he sees himself achieving in 2019. Cancer Moonshot is an international project initiated by former US Vice President Joe Biden after his son died of cancer. The European part of the project consists of a hand-picked research team that drives international research in the field of clinical protein science. The project will increase knowledge about the role of proteins in the development of cancer, which is central to understanding cancer diseases. Joe and His Friends is a creative concept launched at a festival on the Swedish west coast this summer. Its purpose is to raise funds for the fight against cancer. The concept is built around Joe, a middle-aged surfer with a slightly detached, positive attitude towards life. He gladly shares his opinions, making short statements in a cartoon format. The concept was created by brand strategist Pelle Körberg, in co-operation with his colleague Tommy Falonius. Joe has quickly gained followers on social media and friends from around the world. You can follow him on Instagram. Just before arrival in Oldenzaal, Hennie Kuiper — a real VIP in the world of sports — will welcome participating cyclists in Denekamp. Hennie is a former Dutch professional road racing cyclist. His career includes a gold medal in the Olympic road race at Munich in 1972, winning the world professional road race championship in 1975 and winning four of the five “Monument” classics. He competed in the Tour de France 12 times (finishing second in 1977 and 1980), and is one of the most appreciated riders from the golden age of Dutch cycling (1975-1985).